Labour unions on Friday condemned plans announced by President Cyril Ramaphosa to split state power firm Eskom into three entities, with the National Union of Metalworkers of South Africa (Numsa) saying this confirmed its fears the government wanted to privatise the utility, a move that would threaten jobs. In his State of the Nation Address (Sona) to Parliament on Thursday evening, Ramaphosa said cash-strapped Eskom would be divided into Generation, Transmission and Distribution entities as part of a new business model to help turn it around. He acknowledged Eskom was in crisis and posed a significant risk to the South African economy, requiring bold decisions that would not affect the country's sovereign credit rating. Ramaphosa also said Eskom would need more revenue through an affordable tariff increase. 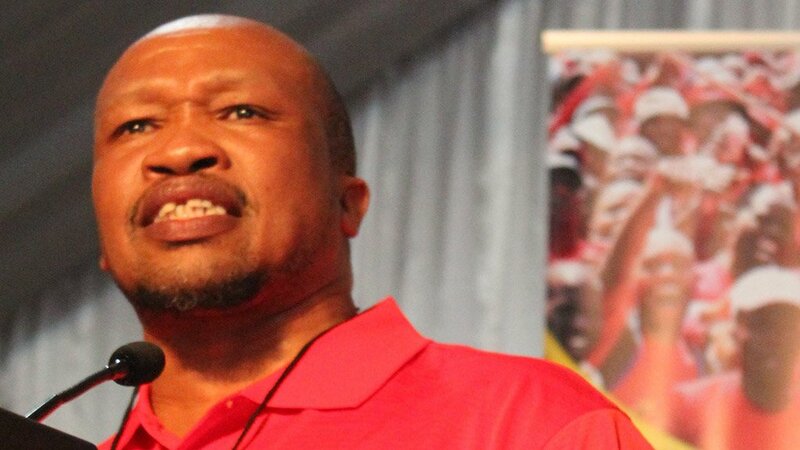 On Friday Numsa General Secretary Irvin Jim said the plans to break up Eskom and sell "non-core assets" of State owned enterprises in general were "nothing more than privatisation through the back door" which the union would fight. "Only an Eskom which is completely owned and controlled by the state is the best guarantee for cheap electricity," Jim said. "History has shown us that once the private sector is allowed to step in, prices increase and massive job shedding is inevitable." "It is clear that the working class is in for more suffering because the president is also calling for a tariff increase at Eskom," he added, saying Numsa would mobilise all communities to defend jobs. "The battle lines have been drawn. The state has officially declared war on the working class," said Jim. The National Union of Mineworkers (NUM) also vowed to fight the Eskom plans "tooth and nail", saying they would ultimately only benefit the rich. "If the government wants to save costs at Eskom, they must cancel the 27 Independent Power Producers (IPP) agreements signed by (then) minister of energy Jeff Radebe that are costing Eskom," it said. "The NUM is not against renewable energy, we are saying that IPPs must stand alone and compete with Eskom." The National Education, Health and Allied Workers’ Union (Nehawu) said it rejected any attempts to unbundle Eskom, a move it also fought in the late 1990s. It condemned what it called Ramaphosa's failure to outline clear measures geared towards delivering State-led broad-based industrialisation and innovation to create jobs. Nehawu however gave the thumbs up to government plans to introduce a National Health Insurance, saying it would work hand in hand towards the realisation of a policy that would be "a gift for generations to come".